PASADENA, Calif. -- Measurements taken by NASA's Mars Science Laboratory mission as it delivered the Curiosity rover to Mars in 2012 are providing NASA the information it needs to design systems to protect human explorers from radiation exposure on deep-space expeditions in the future. Curiosity's Radiation Assessment Detector (RAD) is the first instrument to measure the radiation environment during a Mars cruise mission from inside a spacecraft that is similar to potential human exploration spacecraft. The findings reduce uncertainty about the effectiveness of radiation shielding and provide vital information to space mission designers who will need to build in protection for spacecraft occupants in the future. "As this nation strives to reach an asteroid and Mars in our lifetimes, we're working to solve every puzzle nature poses to keep astronauts safe so they can explore the unknown and return home," said William Gerstenmaier, NASA's associate administrator for human exploration and operations in Washington. "We learn more about the human body's ability to adapt to space every day aboard the International Space Station. 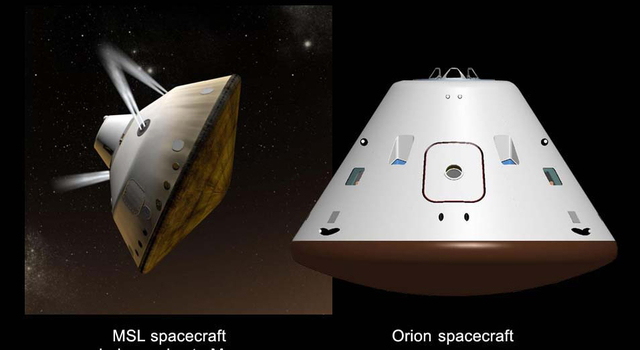 As we build the Orion spacecraft and Space Launch System rocket to carry and shelter us in deep space, we'll continue to make the advances we need in life sciences to reduce risks for our explorers. Curiosity's RAD instrument is giving us critical data we need so that we humans, like the rover, can dare mighty things to reach the Red Planet." The findings, which are published in the May 31 edition of the journal Science, indicate radiation exposure for human explorers could exceed NASA's career limit for astronauts if current propulsion systems are used. Two forms of radiation pose potential health risks to astronauts in deep space. One is galactic cosmic rays (GCRs), particles caused by supernova explosions and other high-energy events outside the solar system. The other is solar energetic particles (SEPs) associated with solar flares and coronal mass ejections from the sun. 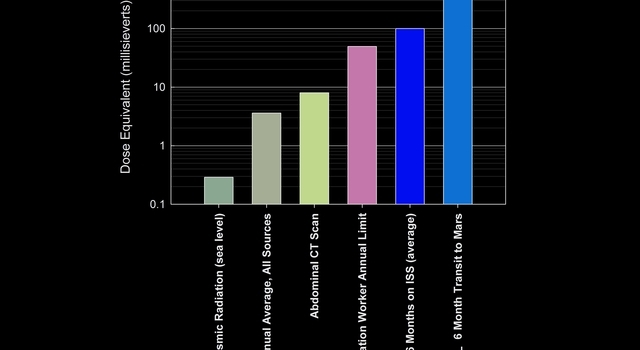 Radiation exposure is measured in units of Sievert (Sv) or milliSievert (one one-thousandth Sv). Long-term population studies have shown exposure to radiation increases a person's lifetime cancer risk. Exposure to a dose of 1 Sv, accumulated over time, is associated with a five percent increase in risk for developing fatal cancer. NASA has established a three percent increased risk of fatal cancer as an acceptable career limit for its astronauts currently operating in low-Earth orbit. 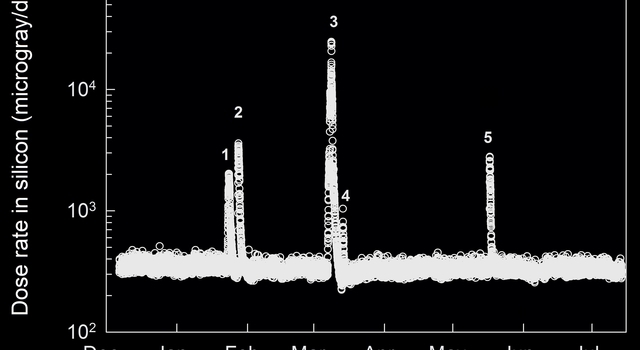 The RAD data showed the Curiosity rover was exposed to an average of 1.8 milliSieverts of GCR per day on its journey to Mars. 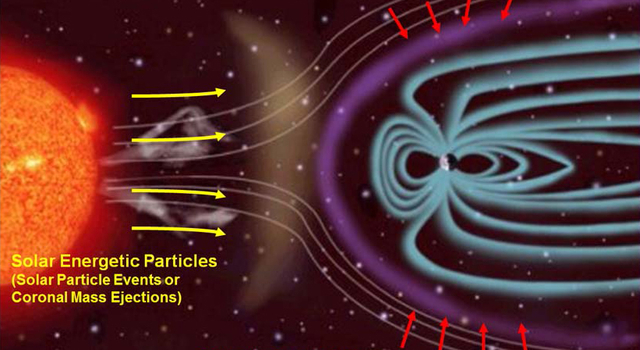 Only about three percent of the radiation dose was associated with solar particles because of a relatively quiet solar cycle and the shielding provided by the spacecraft. The RAD data will help inform current discussions in the United States' medical community, which is working to establish exposure limits for deep-space explorers in the future. "In terms of accumulated dose, it's like getting a whole-body CT scan once every five or six days," said Cary Zeitlin, a principal scientist at the Southwest Research Institute (SwRI) in San Antonio and lead author of the paper on the findings. "Understanding the radiation environment inside a spacecraft carrying humans to Mars or other deep space destinations is critical for planning future crewed missions." 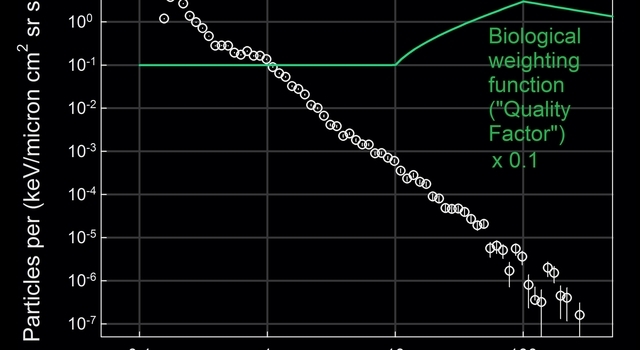 Current spacecraft shield much more effectively against SEPs than GCRs. To protect against the comparatively low energy of typical SEPs, astronauts might need to move into havens with extra shielding on a spacecraft or on the Martian surface, or employ other countermeasures. GCRs tend to be highly energetic, highly penetrating particles that are not stopped by the modest shielding provided by a typical spacecraft. 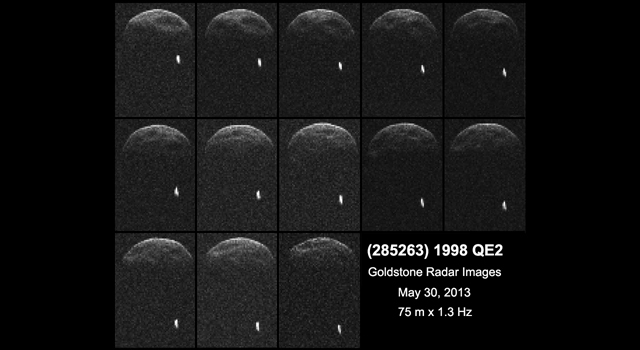 "Scientists need to validate theories and models with actual measurements, which RAD is now providing," said Donald M. Hassler, a program director at SwRI and principal investigator of the RAD investigation. 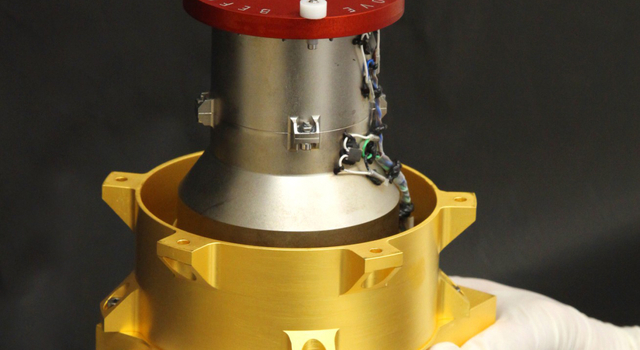 "These measurements will be used to better understand how radiation travels through deep space and how it is affected and changed by the spacecraft structure itself. The spacecraft protects somewhat against lower energy particles, but others can propagate through the structure unchanged or break down into secondary particles." After Curiosity landed on Mars in August, the RAD instrument continued operating, measuring the radiation environment on the planet's surface. RAD data collected during Curiosity's science mission will continue to inform plans to protect astronauts as NASA designs future missions to Mars in the coming decades. 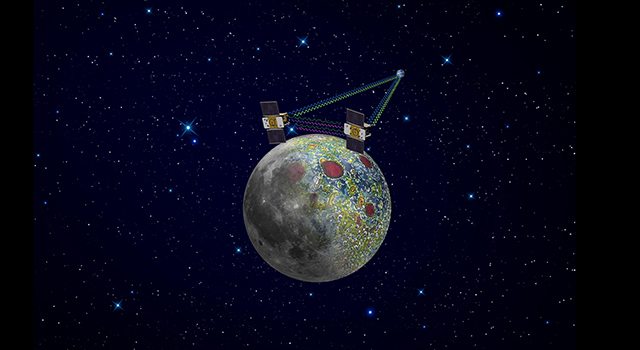 SwRI, together with Christian Albrechts University in Kiel, Germany, built RAD with funding from NASA's Human Exploration and Operations Mission Directorate and Germany's national aerospace research center, Deutsches Zentrum für Luft- und Raumfahrt. NASA's Jet Propulsion Laboratory, a division of the California Institute of Technology in Pasadena, Calif., manages the Mars Science Laboratory Project and the project's Curiosity rover. The NASA Science Mission Directorate at NASA Headquarters in Washington manages the Mars Exploration Program. For more information about the mission, visit: http://www.jpl.nasa.gov/msl , http://www.nasa.gov/msl and http://mars.jpl.nasa.gov/msl . To follow the mission on Facebook and Twitter visit: http://www.facebook.com/marscuriosity and http://www.twitter.com/marscuriosity . For more information about NASA human spaceflight and exploration, visit: http://www.nasa.gov/exploration .